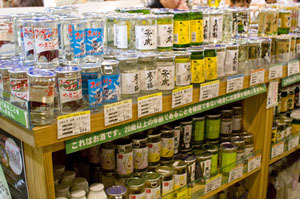 Niigata is well known for its sake, and this large prefectural antenna shop carries over 100 varieties, with many available in 300ml mini-bottles and one-cup sizes. 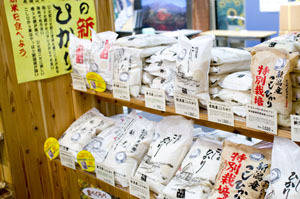 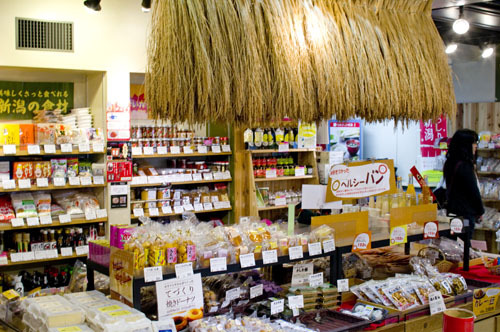 There's also non-alcoholic amazake, several kinds of craft beers, and lots of sake-friendly snack foods such as smoked tongue. 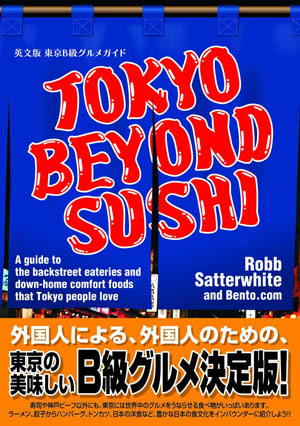 A restaurant specializing in Niigata cuisine is located next door.